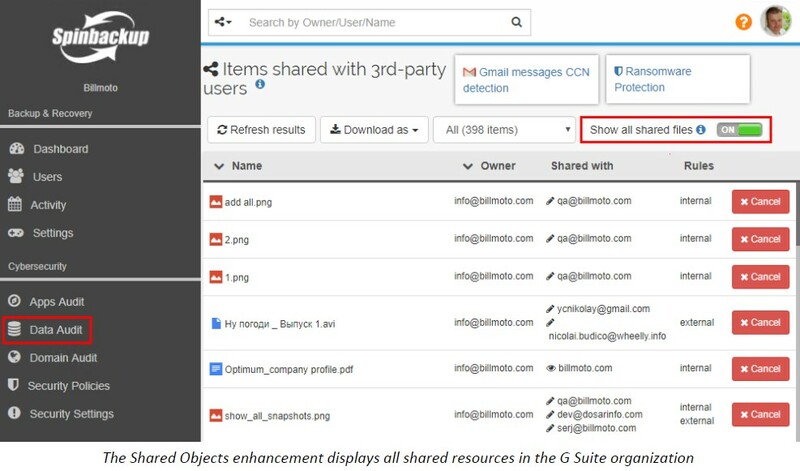 Spinbackup Shared Objects enhancement allows G Suite administrators a great visibility of resources, that are shared both inside and outside the G Suite organization. This includes shared resources that are not classified by any defined data leak or cybersecurity policy. G Suite administrators can update and recourt the list of shared objects according to the current set of rules. The Spinbackup system gives visibility of the rules, under which the files are shared. This allows much greater visibility and configurability for G Suite administrators, preventing any unauthorized data leak events. To find the new Spinbackup Shared Objects enhancement, navigate to the Data Audit dashboard. This is found under the Cybersecurity section of the Spinbackup navigation pane. The new switch is found in the upper right-hand corner of the “Items shared with the 3rd-party users” screen. 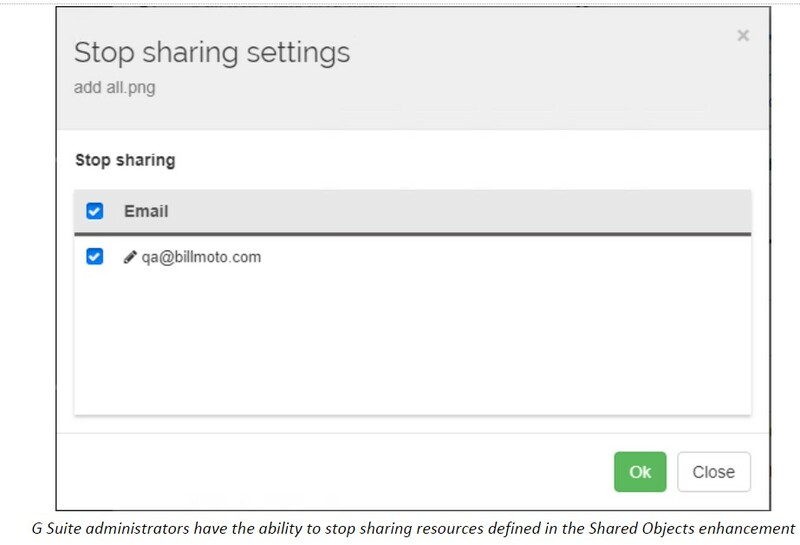 The “Show all shared files” option switches when turned to the ON position. It displays all the resources shared in the G Suite organization. 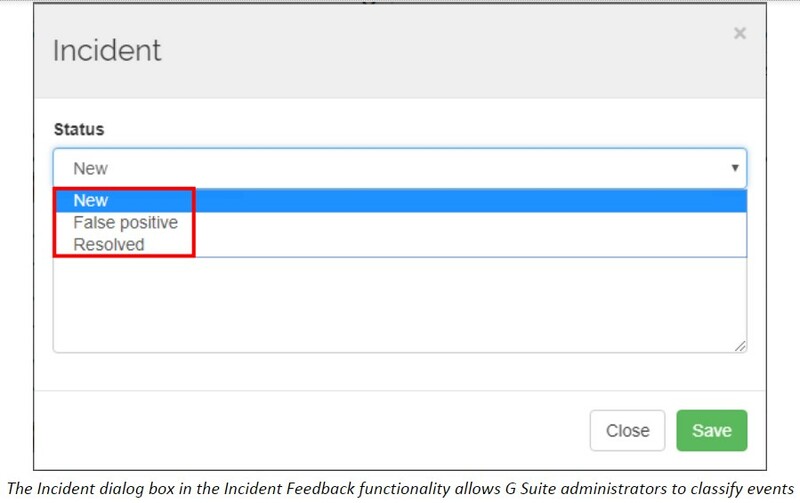 Incident Feedback is a new Spinbackup feature, that allows G Suite administrators to provide feedback on whether the cybersecurity event was identified and classified correctly by the Spinbackup machine learning algorithms. G Suite administrators can triage cybersecurity events, that are captured in the Domain Audit dashboard and mark decisions based on the actual event. This serves two purposes – to remediate any false positives and to tweak the machine learning algorithms, used to classify similar cybersecurity events. To navigate to the Incident Feedback configuration, you navigate to the Domain Audit Dashboard. 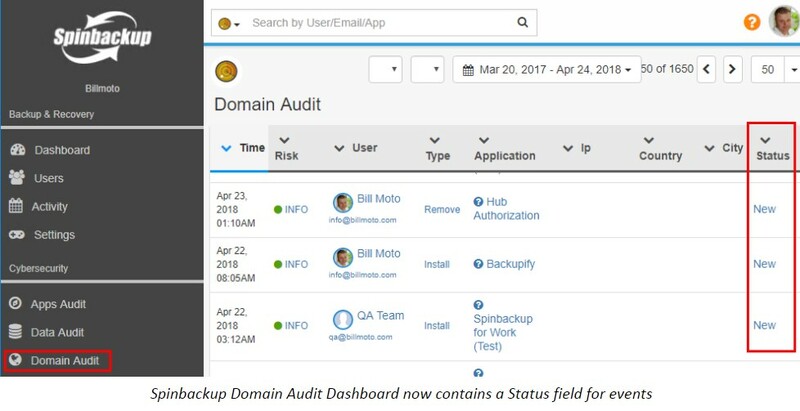 To find the Domain Audit Dashboard, from the main Spinbackup Dashboard navigation, under Cybersecurity click on Domain Audit. A new column, called Status, appears to the right of the Domain Audit dashboard. By clicking on the Status field “New” hyperlink, an Incident dialog box opens. It gives G Suite administrators the ability to classify the new event. 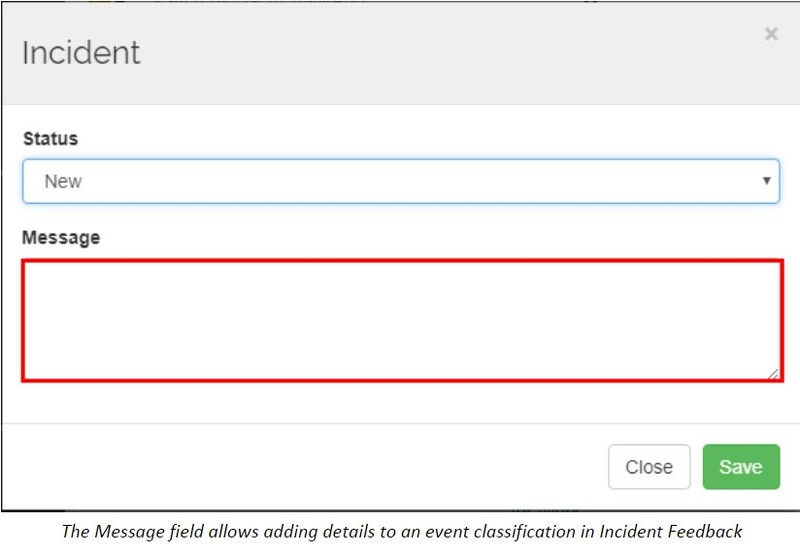 G Suite administrators can also add a Message regarding the new event classification. This allows any additional details, either technical or others, to be added to the event classification. 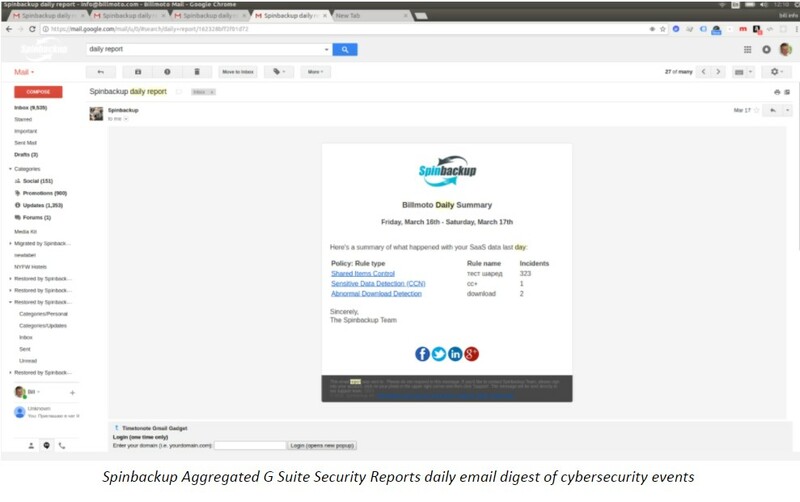 Spinbackup’s Aggregated G Suite Security Reports allow G Suite administrators to be alerted of all new cybersecurity events on a daily basis. The resulting cybersecurity digest email contains the cybersecurity events, detected for the day as well as the hyperlinks to the respective modules within the Spinbackup system. Aggregated G Suite Security Reports allow G Suite Administrators to maintain a good high-level overview of both cybersecurity events and high-level cybersecurity trends within the G Suite organization. The Aggregated G Suite Security Reports option in the security settings of Spinbackup allows for a simple means to enable a daily email digest of security events. Navigate to Cybersecurity >> Security Settings on the Spinbackup Dashboard to enable the Aggregated G Suite Security Reports. Notice that on the Security Settings Screen you have the ability to populate both the email as well as Slack service. Once you have populated the Email field, you can flag on the “Get daily security summary by email” option, which enables the Aggregated Security Summary email digest. Below is an example of the email, received from the Aggregated G Suite Security Reports daily email notification. The Domain Audit section gives full visibility of all users’ actions within the domain. On the base of its machine algorithm, Spinbackup assigns a risk level mark to every activity and detects employees’ abnormal behavior. Credit Card Number (CCN) is confidential information that many organizations do not want to be shared externally. The Spinbackup DLP features detect credit card numbers stored in employees’ Gmail and notify the administrator about it to his / her email and / or Slack.